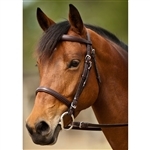 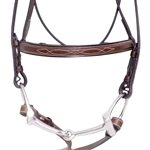 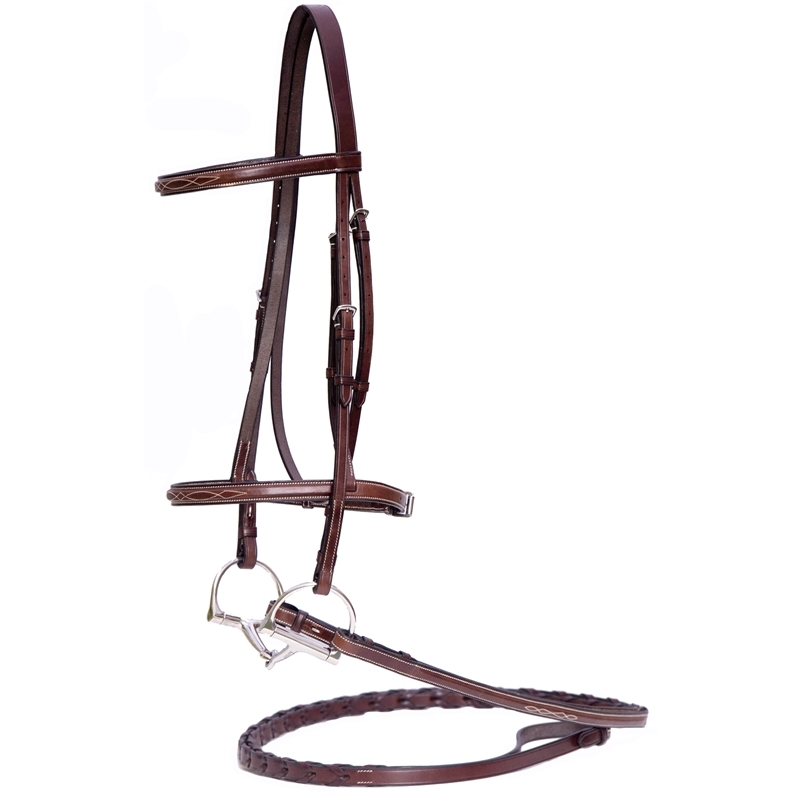 This traditionally styled hunter bridle features a brow and noseband that are both flat raised and accented with ivory fancy stitching. 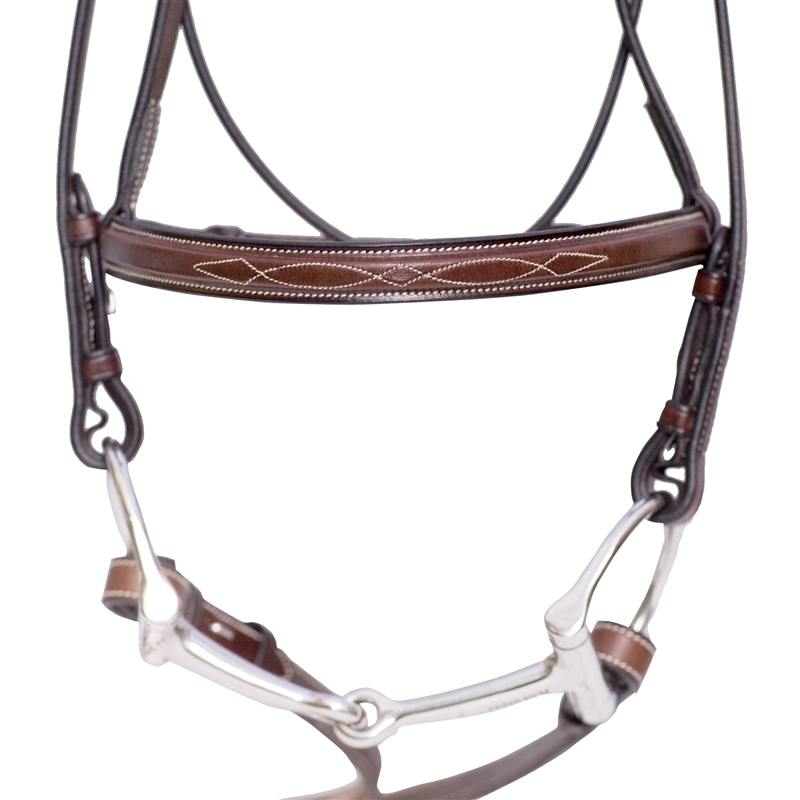 Crafted from beautiful Italian Leather this bridle features stainless steel hardware throughout, hook end closures, and the classic hunter crown. 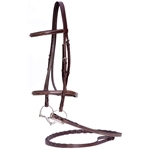 Fancy stitched laced reins are included.